At ASL, we’ve earned a name for ourselves by being resourceful in production, while producing videos that we’re genuinely proud of. When working in corporate video production, you need to be flexible. Companies and agencies alike have very specific ideas in mind, and as a video production company, you’ll need to service their needs while also making sure that you can deliver a knockout project, all within the budget. Over the years, testimonial videos have become a bit of a specialty for us. In putting together an effective testimonial, it’s essential not to lose track of the message of the video, and most of all who this testimonial is aimed at reaching. Our testimonials have touched a broad base. We’ve worked with a variety of companies from software platforms to accounting firms, and regardless of the intended audiences, we tackle these videos with a sense of focus and honesty that have turned out one successful project after another. Our clients work with some of the leading firms in their respective industries. Testimonial videos offer a demonstrative showcase of their products’ proposed value. 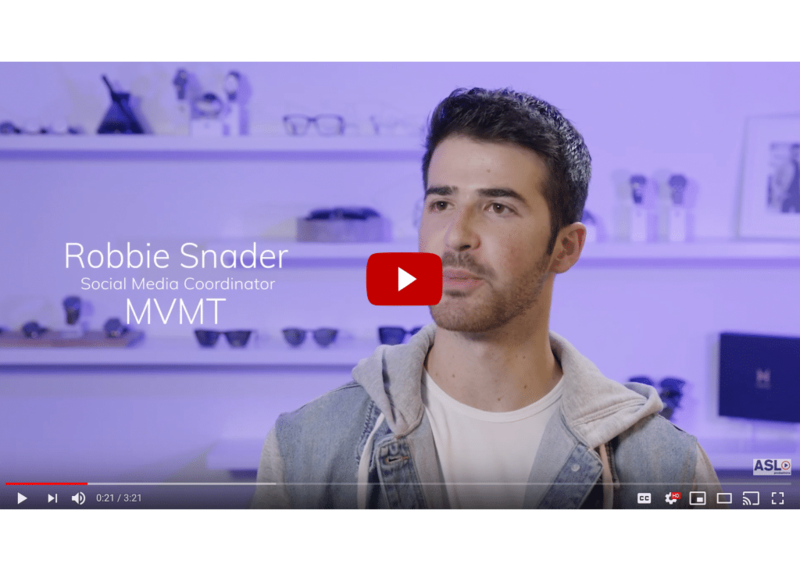 Our testimonial videos with Dash Hudson highlight their relationships with Harper’s Bazaar, Caudalie or MVMT. Likewise, our Reonomy videos help them pitch to a new firm using their testimonials with Avison Young and Meridian Capital Group. Those videos make an impact beyond the standard power point presentation by highlighting how their service translates to tangible success. 2018 was a busy year for ASL, and there was certainly no shortage of testimonial videos made. Here are some projects that we worked on that shine a light on just what it is that a testimonial video can be capable of communicating. As a leading Instagram Analytics Platform, Dash Hudson wanted a series of videos that could reach their potential clients via LinkedIn. LinkedIn has become a behemoth in the professional world by gathering companies from across industries into one place with endless networking possibilities. It’s no wonder that it’s also become a space for promoting and informing your network on what your team is doing! What better place to share client video testimonials, right? Dash Hudson’s product may not be easily understood through your typical banner ad. Well that’s just what we’ve been doing with our clients over at Dash Hudson. What they wanted was something to inform potential users of the advantages of using their platform, all the while keeping the language relatable and the examples relevant. Here’s where we come in. Over the past year, we’ve been highlighting different clients of Dash Hudson and how the platform has become indispensable to the work they do. From Harper’s Bazaar to WeWork, we’ve filmed video interviews with social media managers on how Dash Hudson’s platform has made their work responsibilities infinitely more manageable. Seeing how these influencers have managed to become inseparable from the Dash platform testifies to this resource in a more direct way any banner ad ever could! This is the beauty of testimonial videos. By allowing the clients to speak for themselves directly to the prospective client, there’s a certain authenticity that can’t be invoked through any other form. LinkedIn has proved an ideal space for Dash Hudson’s testimonials to be shared. By not only being a tool for professionals, but also a resource for companies, LinkedIn has been proven itself as a unique promotional arena. With future clients and employees alike being among the targeted audience, our testimonial videos convey a broad message before delving into specifics on the company’s relationship with the platform. An added bonus of having a video crew documenting your workspace is that you have the footage and free to use it however you’d like. Dash Hudson, as well as many other of our clients, have repurposed our videos into sub-60-second videos fit for their Instagram pages. The medium is the message, I guess. When thinking about testimonials, it’s refreshing to view them as “referrals from strangers.” Though actors would add a theatrical flourish, we abstain from using them, opting instead for real people with real stories. For our work with a company like 1-800 Accountant, trust is everything. Accounting is very intimate work, and trusting to use an online service is a leap of faith for a lot of their prospective clients. Dealing primarily in business-to-business, 1-800 Accountant wants the testimonials to reach other businesses. So, when producing a series of testimonial videos for them, we put an emphasis on getting impactful statements in our referral interviews, without coaching them to say certain generic statements. Like we said earlier, trust is everything, and facilitating a testimonial to emote an earnest referral is a strong way to make that leap a little bit shorter. 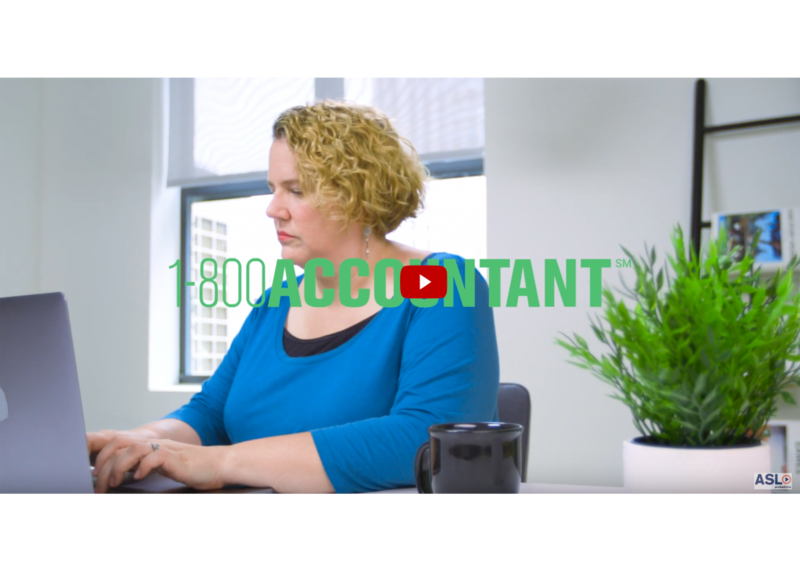 By highlighting both individual clients, corporate clients, and their own accountants, we’ve put a face to 1-800 Accountant and answered the question of why they’re a skilled and reliable company to work with. 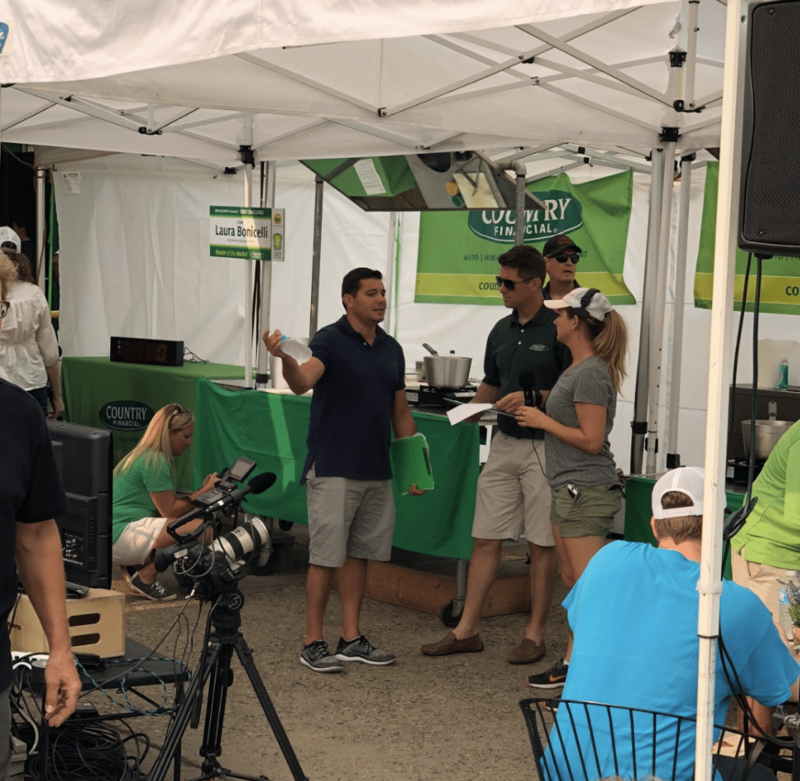 Our videos are featured prominently on the company website and their YouTube page where prospective clients can hear first-hand referrals that they can trust. For a company like Reonomy, we’ve put a strong emphasis on the video’s stylistic choices. As a service that specializes in commercial real estate data, Reonomy wanted a video that would entice the viewer and keep them intrigued. It was important for us to approach this from a creative angle and make the most of our resources. We used multiple camera angles, utilized a variety of scenes in our B-roll, and made sure to capture lots and lots of software screen grabs and screen recordings. Additionally, filming in both 4k and 8k gave us the freedom to adjust frames and make stylistic augmentations in our final piece. What we’ve learned through approaching each testimonial video differently is that different projects require different styles. There really is no formula to corporate video production. Whether emphasizing the product, trust, or style, a combination of all is necessary to produce videos that leave impressions on their target audiences. With 2019 already underway, we look forward to working on more testimonial videos and figuring out how we can make each and every one of them perfectly suited for their purposes.